Darragh Cotter, Cleantech Market Advisor at Enterprise Ireland, describes exciting prospects for a world-leading Irish supply chain in the offshore wind market. An ambitious industry plan recently presented by the UK Offshore Wind Industry Council (OWIC) includes the aim of generating 30GW of offshore wind power by 2030, up from a current operational capacity of 7GW, with a further 7GW already consented or under construction. The 2030 vision will require a £48 billion investment in UK infrastructural spending, supporting upwards of 27,000 skilled jobs. The plan will provide more than one third of the UK’s electricity needs and strengthen the nation’s position as the global leader in offshore wind. The commitment by the UK offshore wind industry to work with the UK Government on an ambitious and transformative sector deal will require a significant mobilisation of the supply chain, and Irish companies are ready to act. Enterprise Ireland research shows that there are well over 50 Irish companies with proven capability and experience across the offshore wind supply chain. Additionally, many companies possess the ability to quickly and effectively pivot in to the sector to provide reliable and innovative products and services to an ever-growing industry. There is a well-established history of Irish companies driving growth within the offshore wind sector, going back to Arklow Bank in 2004. Located 12 km off Ireland’s east coast, Arklow Bank was one of the first offshore wind farms to be developed in either Ireland or the UK. Commissioned in 2004 by Irish-owned Airtricity (now part of SSE plc), the project brought over 25MW of clean renewable electricity to the grid. Airtricity subsequently brought their Arklow Bank experience to the 504MW Greater Gabbard offshore wind farm off the Suffolk coast, where construction was completed in 2012. Irish influence in the UK can also be seen in the Hornsea One project off the Yorkshire coast. One of the world’s biggest (Round 3) wind farms, it was developed by Irish company, Mainstream Renewable Power, who also developed the Neart Na Gaoithe zone off the East coast of Scotland prior to its recent sale to EDF. When it comes to maintaining wind farms, Irish companies come to the fore. Irish Sea Contractors work with Ørsted to provide subsea inspections for its offshore assets around the UK coast. The same company is also leading on innovation in the subsea cable repair supply chain with its patented Habitat solution. 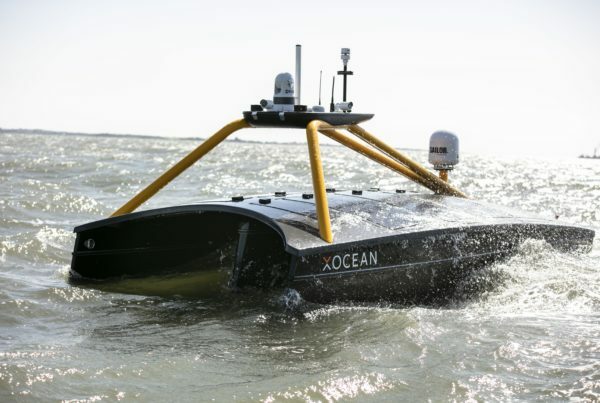 Other Irish companies, such as Xocean, use unique Unmanned Surface Vehicles to provide seabed mapping and turnkey data collection services for the offshore wind industry. Furthermore, Irish companies bring excellent geotechnical and environmental engineering experience to the offshore wind industry. For example, companies such as Gavin and Doherty Geosolutions work with offshore wind developers to identify uncertainties, risks and challenges in the design, installation and operation of offshore wind farms such as Neart na Gaoithe. Vessel design and build are also strong areas of Irish expertise. For example, Irish vessel builders such as Mooney Boats and Arklow Marine have substantial experience in building support vessels for the UK offshore wind industry, with several Irish companies also involved in vessel management. With ever-increasing offshore wind generation, demand-side response services offered by GridBeyond are essential to ensure flexibility and a stable supply of electricity to the grid. The importance of grid solutions to the future of the energy industry is reflected in the establishment of an Enterprise Ireland Smart Grid cluster in 2018, which showcases collective Irish capability in this space. Increased requirements for grid connections and the construction of power transmission and substation infrastructure will also be a key element of the industry’s growth. 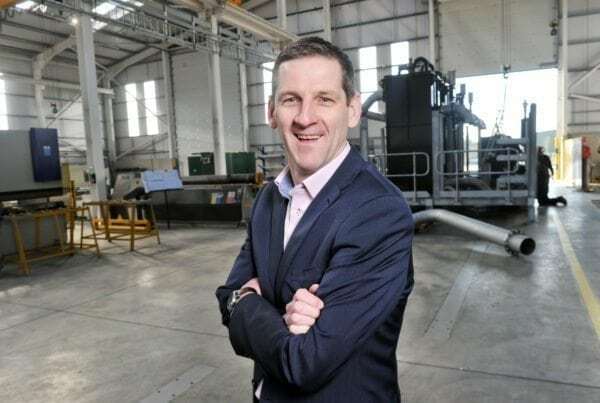 Irish strength in this space can be seen in companies such as H&MV Engineering, Kirby Group Engineering, Suir Engineering and Gaeltec Utilities. On the research front, Ireland’s universities and research centres such as the Centre for Marine and Renewable Energy (MaREI) have been at the cutting edge in the development and testing of next generation technologies and systems. Irish companies are primed and well positioned to help the UK meet its 2030 targets, as was illustrated during a recent Enterprise Ireland and SSE Offshore Wind Exchange at SSE’s Glasgow office. An Irish delegation of 15 companies met with senior SSE executives to showcase Irish expertise, discuss SSE’s future project plans, and discuss how the Irish supply chain can support the development of the UK offshore wind industry. 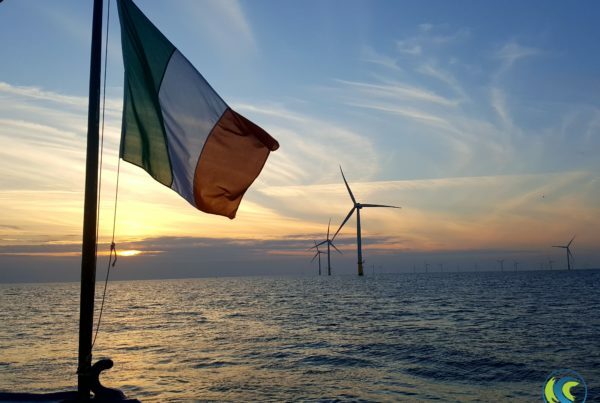 With a new trading relationship between the UK and the EU on the horizon, Enterprise Ireland-backed companies remain wholeheartedly committed to working with and supporting our nearest neighbours in the development of its offshore wind industry. To further highlight this commitment to the UK market, Enterprise Ireland will host a UK offshore wind industry delegation to Ireland in March 2019 to deepen collaboration and highlight the crucial areas of support that the Irish supply chain can provide across the UK offshore wind industry. Considering the speed at which technology has unlocked so many of the world’s secrets, it’s extraordinary to think that we still know more about the surface of Mars than we do about what lies on our ocean seabeds. Scientists estimate that a staggering 95% of the world’s oceans have still not been mapped. That is a lot of information we are missing out on. Yet it’s hardly surprising, given the huge complexity – not to mention cost – associated with capturing ocean data. He was on to something. In 2016, Ives left his job to start a new ocean data services company named XOCEAN. Headquartered in the coastal town of Carlingford, around 90 km north of Dublin in Ireland, the company offers a range of turnkey data services for surveyors, companies and government agencies, such as hydrographic mapping, fisheries surveys, data harvesting and environmental monitoring. The firm offers this on a ‘no data, no fee’ basis. The company’s XO-450 model looks like a miniature catamaran. It’s about the same size as an average car (but around half the weight) with a solar hybrid power system that provides a range of around 1,500 nautical miles, operating continuously for up to 18 days at a time. The system includes a wave-piercing hull design to ensure stability for the 100 kg or so of sensors and other equipment necessary for commercial ocean data capture. “What we offer is an over-the-horizon operation,” says Ives. 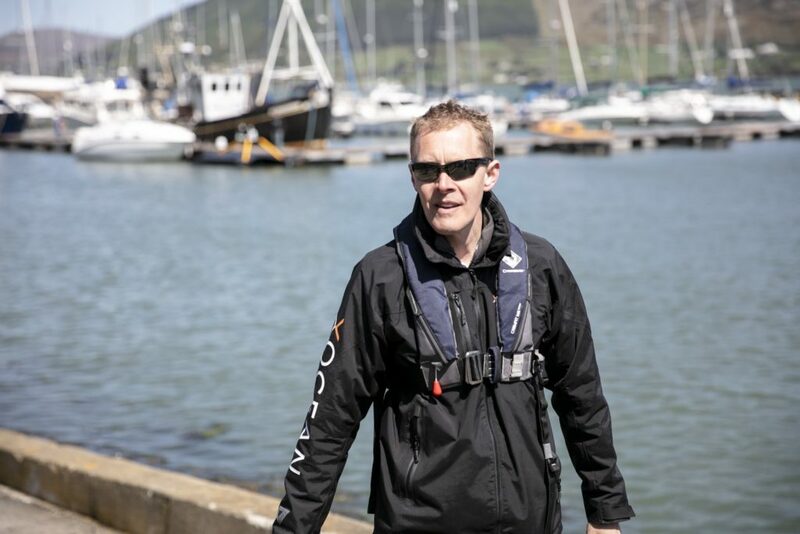 “Regardless of where in the world the mission is taking place, we can monitor and operate the USVs from our base here in the north-east of Ireland. The company also has its sights on the international market, where partnership with Enterprise Ireland – the Irish Government’s trade and innovation agency – has paved the way for discussions with potential customers in Canada, Norway and the UK. The firm has started to build out the asset, with a third USV under construction (scheduled to be ready by the end of 2018). For a company founded only last year, XOCEAN is already moving fast. “We’re in discussion with some very large companies and there’s a lot of excitement in the market so things look bright,” says Ives. The ocean sector economy is absolutely enormous. Its potential is even bigger. According to the OECD, the ocean economy is currently worth more than $1.5 trillion but has the potential to double to more than $3 trillion by 2030. Irish companies already export almost €1 billion to China. A growing economy has positioned China as an attractive market for foreign companies from across the world. Rapid growth also presents challenges, which Irish companies active in a number of sectors are particularly well positioned to overcome. Today, 300 companies supported by Enterprise Ireland, the national export agency, are conducting business in Hong Kong, Beijing, Shanghai and locations across the country, with that number expected to increase over the coming years. With offices in Beijing, Shanghai and Hong Kong (serving Shenzhen), Enterprise Ireland is well placed, both geographically and in terms of subject expertise, to support Irish companies to assist Chinese customers and partners. Mary Kinnane of Enterprise Ireland says that the market is growing in size and importance for Irish companies. As an open economy, Ireland is supportive of China’s Belt and Road Initiative, which fosters connectivity and spurs mutual economic growth. Business partnerships between China and Ireland also benefit from the country’s committed membership of the EU. As bilateral trade continues to grow year on year, new direct flights routes between China and Ireland in 2018 has also improved ease of doing business between both countries. Enterprise Ireland focuses on key sectors in the region, including agritech, pharma, engineering, cleantech, medtech, fintech, ICT, and education, with Irish companies offering solutions that can assist China’s continuing growth. Ireland is known across the world for its agricultural heritage. Its reputation has developed into the 21st century, as a new generation of farmers, manufacturers and agri-scientists have established a deserved reputation for innovation across the entire agricultural value chain. Irish manufacturers are world leaders in the specialised production of machinery that can help to consolidate and modernise Chinese farms, such as mixer wagons for feeding cattle, high-quality baling and wrapping systems and slurry spreaders. Irish agri-engineering exports are now worth a quarter of a billion euro annually to the Irish economy. New technologies targeted at improving farm management practices, such as advances in sensors and electronic record keeping, have been developed with the modern farmer in mind. With government support of mechanisation, these technologies, built to a world-class specification, are gaining traction in China. Ireland also competes with the very best globally in terms of food quality, with extremely low rates of antibiotic usage, no hormone usage, very high standards of animal welfare, and full traceability from fork to farm. Companies such as Dairymaster have led the way with significant investments in in-house R&D and a strong customer focus. Dairymaster’s latest innovation is a smartphone app that allows farmers to remotely control their milk tank. MagGrow has developed a technology that magnetises the droplets from a sprayer, causing them to bind better with plants, thereby reducing the amount of liquid required. The People’s Bank of China estimates that reaching the Ministry of Environmental Protection’s targets for air and water quality will cost the country €255 billion over the next five years, while clean-up of soil pollution will cost a further €855 billion. Addressing this legacy issue is firmly in the crosshairs of Chinese businesses, and firms will need to recruit partners from around the world to meet these ambitious targets. Ireland is fast becoming an international clean technology hub and its water treatment sector is delivering innovative and proven solutions to customers worldwide. Companies from the country are known for the highest standards of reliability, quality and delivery – whether on-site at major construction projects or in off-site manufacturing contracts. And with a thriving innovation ecosystem, the industry is continuing to break ground with new approaches to tackling some of the world’s most important sustainability challenges. An ageing population, rising disposable income, healthcare reform and increasing non-communicable health issues have made China the world’s second-largest pharma market. Meanwhile, Ireland’s medtech sector has become recognised internationally as innovative, integrated and globalised. With a uniquely collaborative ecosystem that spans global multinationals, start-ups, university researchers and government-supported R&D centres, Irish exporters deliver an unparalleled innovation advantage to their customers. Continually looking to the future, a new generation of medical device, diagnostic and digital health companies are pioneering design-led biomedical thinking to meet their customers’ evolving needs. Underpinning the medical technology industry, an established and lean Irish sub-supply sector and supply chain is capably servicing the exacting requirements of market leaders globally. As domestic demand continues to grow, new GMP regulation is enforced, and domestic pharmaceutical companies increasingly seek growth opportunities beyond China, the number and complexity of pharmaceutical engineering projects is likely to continue to increase. These are areas in which Ireland, with its thriving pharma industry, is knowledgeable and has a proven track record of delivery. China’s rapid growth is continuing to create a booming middle class, with increased demands for pensions, social security and financial services. Irish financial service companies have been through this process before and have the experience and know-how to help Chinese companies overcome the challenges they will face in this environment. Payment gateways, global tax reclaim, enterprise data management backend office services (in which Dublin is already a world leader) and cloud solutions are all areas in which Enterprise Ireland companies can serve Chinese customers. In ICT, China is experiencing huge demand for mobile, cloud and travel tech industries. But that’s not all: rapid urbanisation has driven a spike in demand for smart city and Internet of Things solutions. As the Silicon Valley of Europe, Irish companies are harnessing their engineering and tech expertise to drive real innovation in this space – and an outward-looking business community is keen to take this experience and share it with the rest of the world. Education is one of the largest contributors to non-food client exports in China, and 21 Irish education institutions have a direct market presence in the country. To date, 49 high-functioning joint programmes have been approved by the Chinese Ministry of Education, as well as one joint college. The Claddagh Scholarship Programme, the first and only national level scholarship programme designed exclusively for Chinese students includes in excess of 250 scholarships from 17 different education institutes at every level, across over a hundred different fields of study. The Irish China Alumni Network (ICAN) with its own website platform and WeChat channel now has over 2,700 followers. To date over 20 positions within Irish companies and organisations have been advertised to the alumni, so far nearly 60% of these positions have been successfully taken by ICAN members. China is currently the world’s number one online shopping market, accounting for over 40% of the global ecommerce retail sales. It is currently dominated by third-party platforms – Alibaba, JD, QIY, Ctrip and Tencent, where consumers can purchase a wide range of products from many sellers. In 2016, Alibaba and Tencent delivered record-breaking profits, signalling just how healthy China’s consumer market remains. The takeaways from Alibaba and Tencent’s results are not that they make a lot of money but how China’s most successful consumer-facing businesses have quite different business models to those in the West. Understanding what makes the models unique provides invaluable insights into what appeals to Chinese consumers and how successful brands are serving them, many of which can be replicated on smaller scales for foreign brands. Pyramid schemes are out, entertainment and mobile micro-payments are in. Enterprise Ireland provides first-hand knowledge and experience of the consumer market and helps companies we support to validate their product in China, as well as with establishing an ecommerce presence where necessary. David Byrne from Enterprise Ireland has said that the reasons for Ireland’s success can be attributed to relationships and product. “Irish people are naturally very warm, friendly and open. We’re also very good at building relationships and that stands to us. With high quality products and a gift for problem-solving, it’s time that Chinese businesses started the search for their Irish Advantage. EPS Group is one of Ireland’s most successful environmental businesses, designing, constructing and operating water and wastewater treatment systems and pumping equipment to industrial, commercial and municipal customers across Ireland, the UK, and the Middle East. EPS Group is also one of the few genuinely “end-to-end” service providers in the global water sector. Innovation has been central to its success. In the 50 years since it was established, the group based in County Cork in Ireland, has grown from being a modest electrical and pumping services business into an internationally-exporting product and service provider, focused on the water, wastewater and clean technology sectors. Headquartered in the town of Mallow, with locations in Ireland, the UK and Jordan, today EPS Group employs more than 450 people. It is Ireland’s largest, privately owned Design-Build-Operate (DBO) partner for the delivery and operation of water and wastewater assets. Current long-term operational concessions cover over 300 treatment assets serving more than one million people. The company has held contracts with all 34 water authorities in the Republic of Ireland (now transferred to the national utility Irish Water), as well as a significant share of the trader sub-market. EPS Group continues to innovate, recently winning a Digital Technology award at the European Business Awards for a submission that focused on the company’s newly opened Euro 4.5 million, 40,000 sq ft Centre of Design and Manufacturing Excellence. The first of its kind for the water sector in Ireland and the UK, the new high-tech centre allows EPS to work in collaboration with clients and partners across the globe using multi-dimensional design platforms, Building Information Modelling (BIM) and digital demonstrations. “A key differentiator for EPS Group is the fact that we have developed all of the skills the sector requires in-house. While our competitors, in most respects, outsource various activities, we are an end-to-end solutions provider, looking after every aspect of a project from concept through to aftercare,” says Patrick Buckley, managing director of EPS Group. This breadth of expertise, allied to experience, gives EPS Group a key advantage, as does management’s commitment to always ‘take things a step further than our competitors,’” explains Buckley. For example, EPS designs and preassembles plant, “to ensure we get it right first time on-site,” Buckley continues. EPS is committed to ‘lean’ manufacturing, moving its design team onto the factory floor so that designers, fabricators and assembly teams can liaise for optimal efficiency. “Lean methodologies enable us to keep costs down, ultimately delivering value for our customer over their entire project,” Buckley says. The Group has a turnover of Euro 80 million and growth of around 10% per annum. “Our development strategy is based on partnerships both up and down the supply chain,” adds Buckley. This includes collaborative partnerships with customers and end users, for example with Tier 1 water treatment company Stantec Treatment, with whom it has a UK joint venture vehicle, MEPS. EPS also forges collaborative partnerships to drive innovation, such as its licensing of sustainable waste water treatment process Nereda from Royal Haskoning DHV in the Netherlands, for use in Ireland and select projects in the UK and further afield. Central to that is to only seek out projects where EPS Group can add value. “We go where customers value what we bring,” he says. “It’s a slower burn but it’s a more sustainable approach to business growth, as we continue our digital delivery journey”. Liam Curran of Enterprise Ireland describes how innovative Irish companies are developing new solutions to meet emerging trends in water and wastewater management. The need to reduce energy usage is paramount, says Liam Curran, senior technologist at Enterprise Ireland. Increasingly the sector is turning to Internet of Things (IoT) technologies to drive efficiencies. Smart devices are increasingly used in treatment plants. “In future you will be able to remotely monitor and manage plant in water facilities before sending water into potable water networks. Once there you’ll use detectors to monitor changes in pressure so precisely that you will be able to dig within a metre of a leak,” he says. Once used, either commercially or domestically, smart devices in sewers will monitor waste water issues such as flooding. Wastewater treatment plants will be remotely monitored and run and, when waste water is treated and released, the receiving catchment will be monitored via IoT sensors for environmental issues. Wastewater is increasingly in the spotlight as a result of the growing trend for emerging resource recovery. “In the past we saw wastewater as a problem to be disposed of. Now it’s all about resource recovery – extracting as much value as possible from wastewater,” says Curran. This includes deriving value from the fact that waste water is typically 10% above ambient temperatures. “The focus now is on ways to recover that heat energy and, for example, using the heat from waste water leaving a building to heat that building,” he says. Such activities will increasingly be demanded by companies keen to meet environmental standards too. With concerns over antibiotic resistance growing worldwide, demand is growing for technologies to destroy antibiotics in wastewater too. Anxiety is also growing about the impact of microplastics, whether from plastic packaging, microbeads in showergels or from synthetic clothing such as fleeces. “The vast majority comes from degradation of plastic materials and run off from streets, because the sewer system and stormwater run offs are combined, but the fact remains that our water treatment plants are not designed to remove microplastics,” says Curran. A number of innovative Irish companies are working to solve such challenges however. OxyMem in Athlone has developed a low energy wastewater treatment using gas permeable membrane technology. Ireland has strong national capability in relation to Internet of Things technologies too, as well as extensive data analytics expertise from companies such as Compass Informatics in Dublin, which has developed a product for municipal wastewater treatment biosolids management. In Galway NVP Energy has developed wastewater treatment technology that removes organic pollution while producing biogas. It is currently in use at a meat processing plant in Lurgan. “One of the major advantages it offers is that they have taken 75% of the organic load off the existing treatment plant,” says Curran. From low-energy water purifiers to rainwater harvesting systems, Irish companies continue to develop innovations that tackle some of the world’s most important sustainability challenges. Ireland is fast becoming an international clean technology hub and its water treatment sector is delivering innovative and proven solutions to customers worldwide. From low energy water purification technologies to concrete rainwater harvesting systems, specialist Irish companies can provide end-to-end solutions to meet the needs of infrastructure providers, utilities and industry internationally. Irish companies are known for the highest standards of reliability, quality and delivery –whether on-site at major construction projects – or in off-site manufacturing contracts. And with a thriving innovation ecosystem, the industry is continuing to break ground with new approaches to tackling some of the world’s most important sustainability challenges. 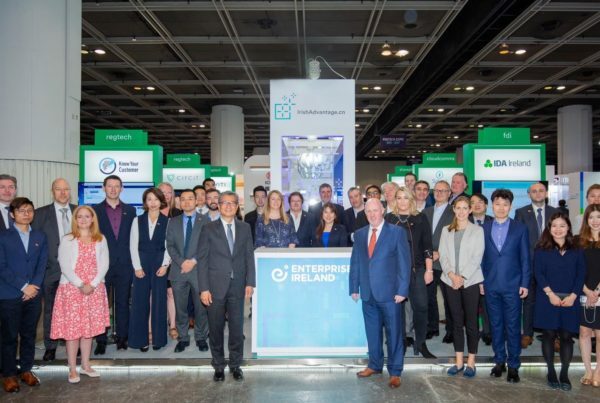 Enterprise Ireland connects international businesses with Irish companies. Tell us what you need and we'll find your ideal business partner. Why partner with Irish businesses? Irish businesses are globalised, forward-looking and ambitious – their partners benefit from this dynamic approach. Irish small and medium businesses are the most innovative in Europe and are supported by a world-class R&D ecosystem. Irish companies grow up alongside the biggest names in tech, life sciences and financial services and meet the standards of global leaders. Irish people are renowned for developing business opportunities worldwide and their ambition means a sharp focus on success. Find innovative Irish companies for your specific business needs. EPS Group is a specialist wet infrastructure support services group of companies operating across the Republic of Ireland and the UK, one of the few genuine end-to-end service providers in the global water sector. Founded upon 50 years of experience, EPS has grown from a modest electrical and pumping services business into an innovative, internationally exporting product and service provider, now focused upon the water, wastewater and clean technology sectors. The Group provides services to municipal, industrial, commercial, agricultural and domestic clients and currently exports globally. ResourceKraft is a global leader in hardware and software solutions for energy management, power quality and smart grid requirements. ResourceKraft develops innovative technology-driven products designed to assist organisations of all kinds, to measure and manage their energy usage. Established in 2007, ResourceKraft is built upon a foundation of experience in the electronics, computing and energy industries. City Analysts are leading environmental laboratories providing fully accredited analytical testing and monitoring services to both the public and private sectors. We provide sampling and collection services from our laboratories in Dublin and Shannon. We are regarded as the water specialists covering all aspects of the aquatic environment from clean water to waste water and the soil it comes in contact with. Hybrid Energy Solutions designs and manufactures clean, cost-effective modular hybrid energy stations and Lithium-Ion battery energy storage systems (BESS). On or off-grid, HYbrid provides low carbon answers to the energy challenges of today. Our Hybrid Energy Stations (HES) can be rapidly deployed even in remote locations to provide scalable power generation and storage to meet any power demand. Applications range from remote telecom base stations to utility grids and generation options include wind and solar in addition to diesel or gas fuel. All with reliable, continuous output. Enva specialises in providing innovative, efficient and cost-effective solutions for water treatment, waste management and laboratory testing. Our purpose is to help our clients run clean, safe, compliant and efficient operations, while minimising their environmental impact. We are passionate about resource recovery and we’re constantly developing new ways to convert wastes into valuable materials. So beyond meeting regulatory and compliance requirements, we also ensure that our clients minimise their impact on environment. GridBeyond, founded in 2007, is a leading provider of demand side response and holistic energy management technology for large industrial and commercial clients. By implementing GridBeyond’s high end technology platform, businesses are able to access and automate energy controls to participate in fast-responding demand side management programmes, energy optimisation, energy trading and peak avoidance. All of which enable numerous levels of new revenues and cost savings, as well as unique insights and benchmarking into on-site energy performance. Businesses using GridBeyond’s technology help to balance the electricity grid, enabling the integration of more renewables. Enterprise Ireland is the Irish Government’s trade and innovation agency. Our goal is to build successful, long-term business relationships between international companies and Irish partners. As one of the world’s largest seed capital investors, we help develop a pipeline of cutting edge Irish companies. Our industry experts understand your requirements, and match them you with a shortlist of Irish partners that can deliver on them. We make direct introductions to the right people in Irish companies, enhancing and simplifying your experience. Tell us what you need and we'll find your ideal Irish business partner.